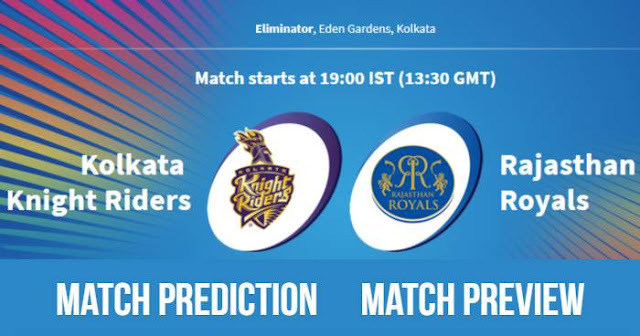 Home / Eden Gardens / IPL / IPL 11 / IPL 2018 / IPL 2018 Match Preview / Kolkata / Kolkata Knight Riders / Match Prediction / Rajasthan Royals / IPL 2018 Eliminator KKR vs RR Match Prediction, Preview and Head to Head: Who Will Win? IPL 2018 Eliminator KKR vs RR Match Prediction, Preview and Head to Head: Who Will Win? Kolkata Knight Riders (KKR) and Rajasthan Royals (RR) will play the Eliminator of the 11th season of Indian Premier League – IPL 2018 at Eden Gardens, Kolkata on 23 May 2018. Weather will be a concern for the match; it will be a cloudy day with a strong thunderstorm with rain is forecasted during match hours. Eden Pitch looks something different, one end seems like a nice even grass covering, nice and dry too, and looks like a batting surface. The other end is particularly dry, and so the KKR spinners like Sunil Narine and Kuldeep Yadav are likely to dominate bowling from the other end. A wonderful pitch, but the weather will be concern otherwise a cracker of a contest can be seen. Kolkata Knight Riders would not like to make any changes to their winning playing XI from their last match against Sunrisers Hyderabad. Shivam Mavi will be sitting on the bench as Piyush Chawla will be the third spinner on this wicket. Rajasthan Royals will also don't like to tinker with their playing XI. Rahul Tripathi, Ajinkya Rahane, and Sanju Samson will be main batsmen against KKR’s spin attack. As Jaydev Unadkat looks out of form so Jofra Archer will be leading from the front. Kolkata Knight Riders and Rajasthan Royals have played 17 matches against each other head to head in IPL with the result, out of which Rajasthan Royals have won 9 matches and Kolkata Knight Riders have won 8 matches. In last 5 matches between Kolkata Knight Riders and Rajasthan Royals, Rajasthan Royals have won 3 matches and Kolkata Knight Riders have won 2 matches both in IPL 2018. Kolkata Knight Riders and Rajasthan Royals have played 7 matches against each other head to head in IPL at Eden Gardens, Kolkata; out of which Kolkata Knight Riders have won 5 matches, Rajasthan Royals have won only 1 match and one match was abandoned due to rain. Kolkata Knight Riders and Rajasthan Royals have never met against each other at playoffs. Kolkata Knight Riders have played 8 matches at IPL Playoffs out of which they have won 5 matches and lost 3 matches. Rajasthan Royals have played 5 matches at IPL Playoffs out of which Rajasthan Royals won 3 matches and lost the other 2 matches. Looking at the trend both in IPL and in Kolkata, bowling first has always been the priority. Eden Gardens have been a good batting wicket but it also helps bowlers, a good match will be seen. An around 185 will be the par score. Kolkata Knight Riders have finished 3rd on the points table with 16 points in 14 matches; 8 wins and 6 losses. They are coming with 3 consecutive wins, also defeating table topper Sunrisers Hyderabad in their last match in the league stage. On the other hand, Rajasthan Royals finished 4th on the points table with 14 points in 14 matches; 7 wins and 7 loses. Rajasthan Royals looks scratchy while playing away matches, won only 2 away matches. Rajasthan Royals are struggling with their middle order batsmen, no batsmen other than top three made a half-century in this season of IPL. 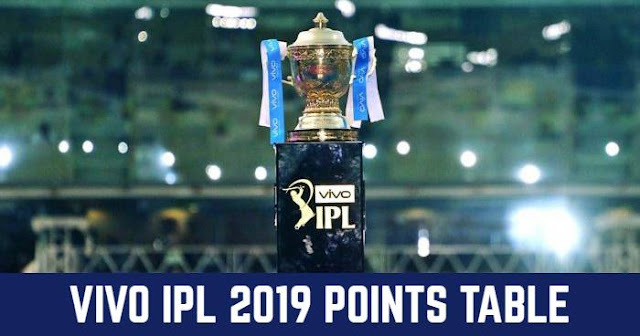 If rain comes into the equation and match is abandoned then Kolkata Knight Riders will play the Qualifier 2 against Sunrisers Hyderabad while Rajasthan Royals will be knocked out on the basis of points table standings. In our Prediction, Kolkata Knight Riders are going to win this match.